Go on an animal adventure with Highlights! 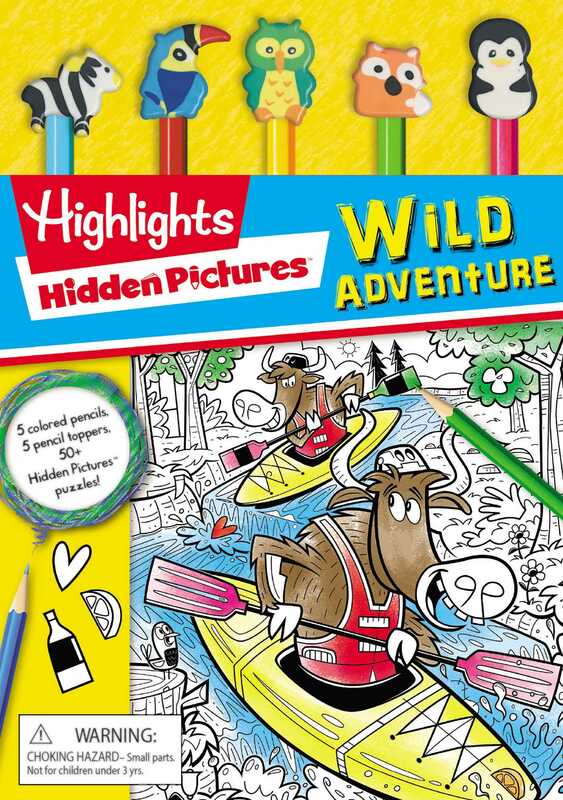 Young puzzlers will love exploring Highlights Hidden Pictures: Wild Adventure! Featuring Highlights' classic search-and-find activity, this book is jam-packed with animal puzzles—from penguins eating ice cream to an animal pool party—with fun objects to find in every scene. Kids can use the five included colored pencils with collectible animal pencil toppers to complete the Hidden Pictures puzzles.